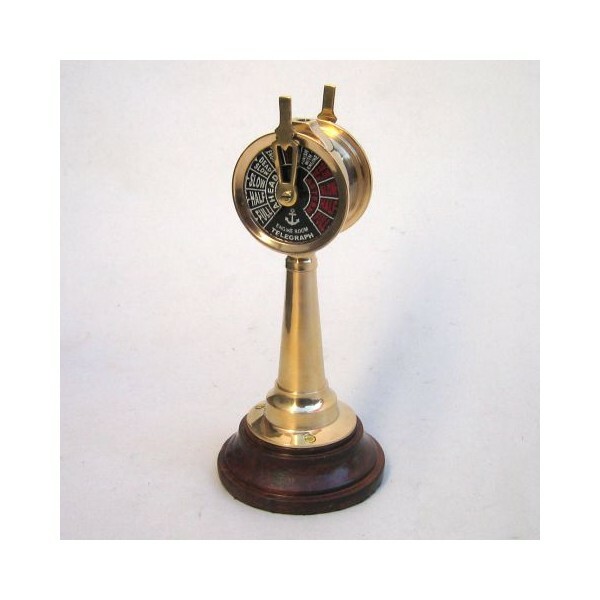 This design of telegraph was used to communicate speed and direction orders from the wheelhouse of a full sized ship like an ocean liner to one of its engine rooms. 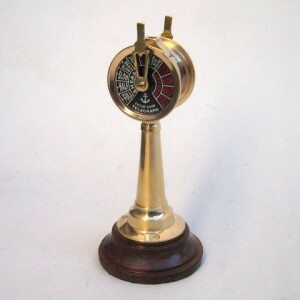 Our miniature model is made of solid brass with easy to read lettering. It stands upon a solid wood base. Total height is 6.5 inches. ©2012 website design by eCape. Complete web design and Internet marketing services for Cape Cod businesses.